through iTunes and other digital music stores! Or buy the CD here . . .
will not increase the shipping charges. RELAXATION is neither magic nor is it like a drug that can make you feel better without your having to do anything. Relaxation is prayer. If you want to do the work but find that you have difficulties because you are lost and need a guide, then this CD can be your guide. ANY individuals troubled by anxiety or depression are told by others to learn to love yourself and be happy. But this advice only misses the pointits like trying to cover over crumbling rust with shiny new paint. From a Christian perspective, the root of anxiety is a lack of trust in Gods providence, such that, when facing the unknown, you worry endlessly about how to figure it out on your own. And the root of depression is a lack of trust in Gods justice, such that when encountering any hurt or insult you fall into a desire to take matters into your own hands to get revenge, but, feeling helpless to overpower others, you turn your anger onto yourself as unconscious self-blame. 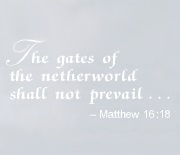 All that worry and all that self-blame is rust on our souls that prevents us from getting close to God. Its a self-limiting sort of dynamic that keeps us stuck in our own unconscious despair. For no matter how many times you say, Jesus, I trust in You! if you say the words only intellectually, without heartfelt trust in God, those words will do no more to heal your fear than a coat of paint can fix crumbling rust. 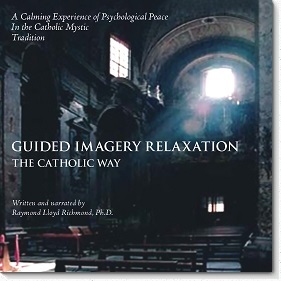 A genuine experience of relaxation is, therefore, important to mental health and essential to spiritual growth, but almost allif not allcommercially available psychological relaxation recordings sanction New Age spiritual beliefs that can contradict the Catholic faith. 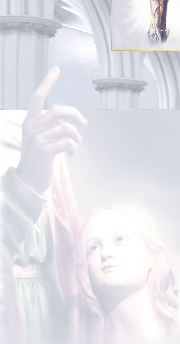 Accordingly, I have made these recordings for a Catholic listener; you will discover in them a relaxing psychological experience that guides you into a healing contemplative trust in God. Digitally recorded, edited, and mastered.